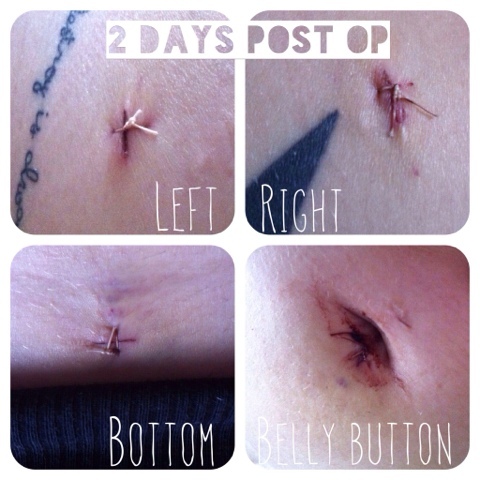 Just a little update... As you may have seen on Twitter / Facebook, I'm in recovery now from my operation on Tuesday. As you all know, I was extremely nervous - mainly due to the bad reaction I'd had to the anaesthetic back in May last year. Everyone at the hospital was fantastic though and did their very best to put me at ease. I was the first on the list for surgery with the Prof. and was sent down around 1.30pm. I found out afterwards that they had spent so long operating on me that they cancelled the lady who was due in after me! She had been in earlier than me also so to have waited all day for that... She must have been fuming! Anyway, I went down and got prepped in the theatre. The Prof. came in and held my hand because my heart was beating through the roof! I had to calm down before they put me to sleep, which was difficult. I just remember laying there crying, then I felt the prickling heat of the anaesthetic come up around me and I was gone. They put me on a different anaesthetic this time and I came around fine afterwards - apart from being very sick all over myself! I was back on the ward by 6pm and sat chatting away to my parents when they came to see me - a massive difference to last time around! The surgery went well. The Prof. burnt away all the endometrium and adhesion's he could find on and around my ovaries, pelvic brim, Douglas pouch and bladder (leaving everything on my diaphragm as it is). Apparently, the big clump on my left side which had joined together my ovary, fallopian tube and pelvic wall, since last May had also attached itself to my bowel. My bowel is still clear of endo though which is good news. Unfortunately, I was given some bad news afterwards. My left side is severely damaged and they tested my fallopian tube and sadly it's blocked. They haven't tested my right side but they did say that it isn't as damaged as the left side and I should be OK. I'm trying to deal with this information but I am devastated and it's on my mind constantly. My chances of conceiving seem to become more and more limited as time goes on. How are you supposed to come to terms with that? I see the Prof. again in around 3 months time and he mentioned about me going back on add-back therapy but we'll see how that one pans out. I was able to leave hospital the following day but only because I blagged it a bit. The pain was really bad but I just wanted to get home. As soon as I got home that evening, I crawled straight in to bed and it was lovely! I've been resting ever since then and each day becomes a little easier. 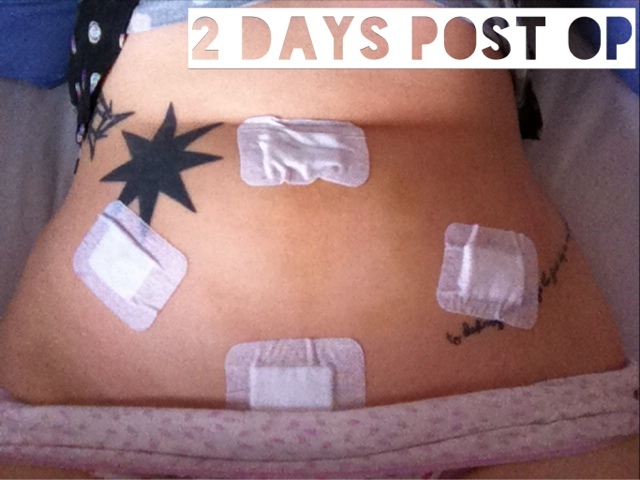 I've taken some photos for you to see how my tum looks (sorry for the nakedness!) - it's a little blacker today but I can tell it's healing inside. I am now able to sleep on my side a little and I can bring my legs up a bit higher - but bending is still very much a problem, as is standing. I've spent a few days pigging out, after barely eating last weekend and I've certainly enjoyed it! My throat was very sore for a few days after the surgery from the tubes they put down it so that first piece of toast I had been craving wasn't as good as I had hoped! I've already started eating more healthily though and as soon as I have recovered I'll be starting to look at things from a nutritional point of view. I think it's the only real option I have left now. So, that's my update for now. I now have to start building myself back up again and seeing how things go. Then, hopefully, I'll be able to start weaning myself off the Tramadol and other tablets. I just want to say thank you to everyone who has contacted me recently with regards to my surgery and recovery. All your messages have been so lovely and they've really helped me cope with my bad news a little more. I have my next benefits assessment on the 31st January. I came home from the hospital to find they had booked me in for this Wednesday coming (even though I had previously told them I couldn't make anytime after the 8th for a few weeks due to my surgery!). It seems a bit daft to be having another assessment at this point because I just need to get myself back on my feet again, get my strength up and work on my confidence again and then I'll be off them. I just need a few more weeks to work at that after I've recovered so I'll just have to see how it goes. If they say I'm ready for work again straight away then I'll just have to go without financial help for a while. Just another thing I don't need to stress about! Right then, I'm off to rest again. Doing anything this week is doing me in! I had this surgery twice. 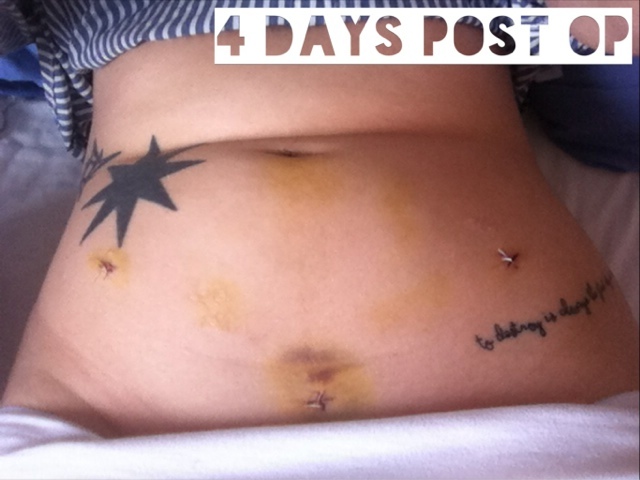 The second time around was when I found out I can't have anymore surgeries as it would damage my insides due to where the endometriosis spread. I wish there were better options. I am not even eligible for the violet pedals trial which upsets me because I have endometriosis, but apparently not the kind they want to treat. I'm really glad you are healing well. I hope this helps you out a bit. 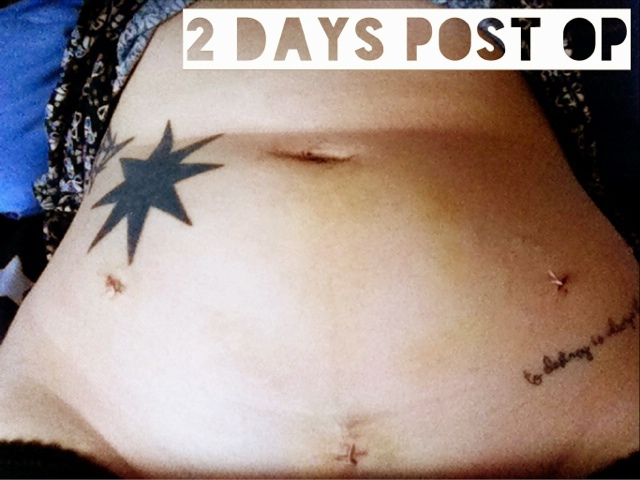 Please look at my blog http://peainapodblog.wordpress.com/ I have suffered with Endometriosis for a very long time and I have started a blog writing about how it has effected my fertility and about my 1st course of IVF. Hope this helps other find the reason for their pain and to make more people aware of Endometriosis.